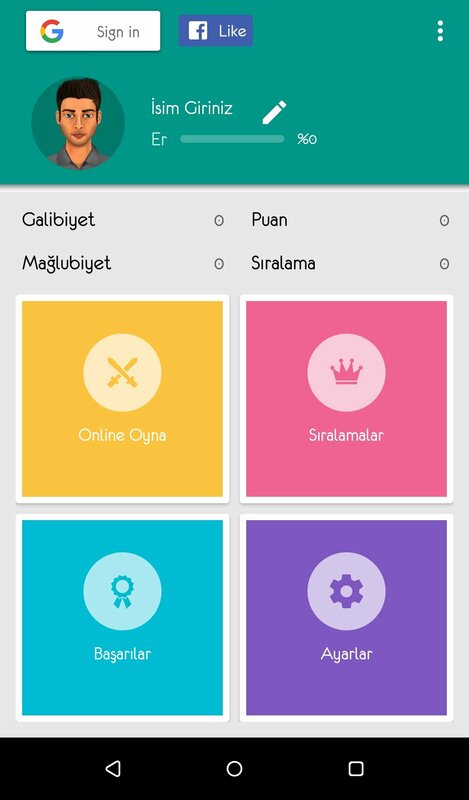 There are so many games for Android in the Play Store that we wonder how you got to this Batak Online. This card game could be absolutely brilliant but if you don't speak Turkish you're going to find it quite hard. We're talking about an app that Fuzzy Mobile Games has created for a rather specific audience but that doesn't mean that you can't have fun trying it out. 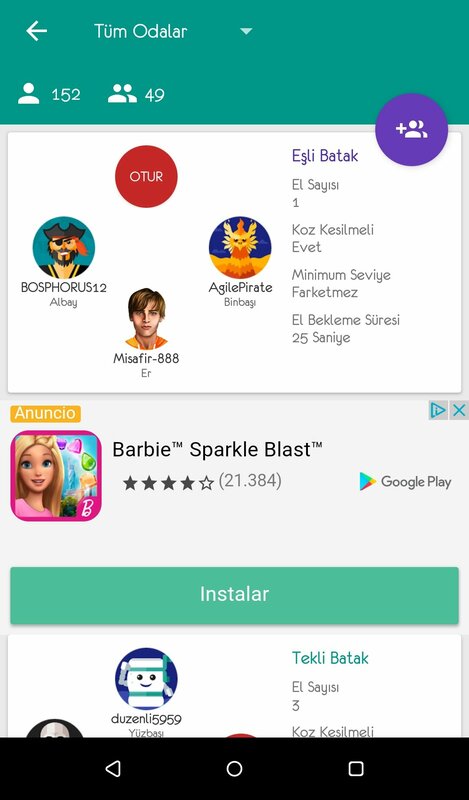 Create online game rooms and play against loads of players. What's the target of the game? 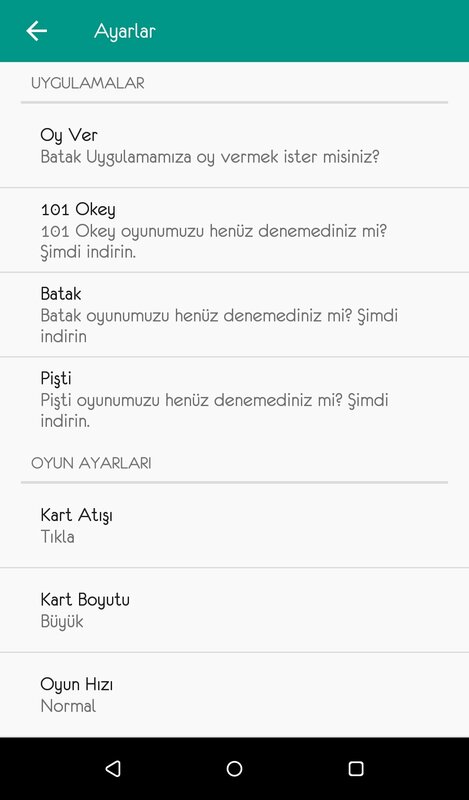 If you don't understand Turkish you might find it quite difficult to get to know what it's all about. But don't worry, we'll try to explain it to you. 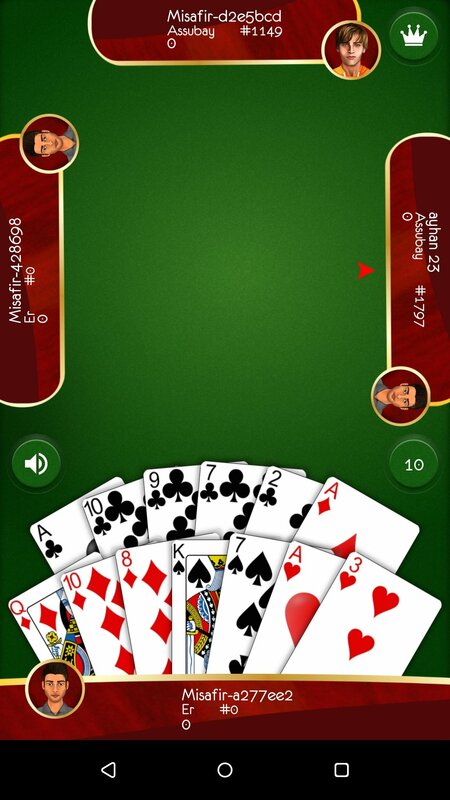 Its gameplay is very similar to Spades; you'll play with the full deck of 52 cards and you can play four users, in pairs or individually. All the cards are dealt out and you must keep your hand to yourself. Each player has to bet how many rounds he thinks he can win (up to a total of 13). 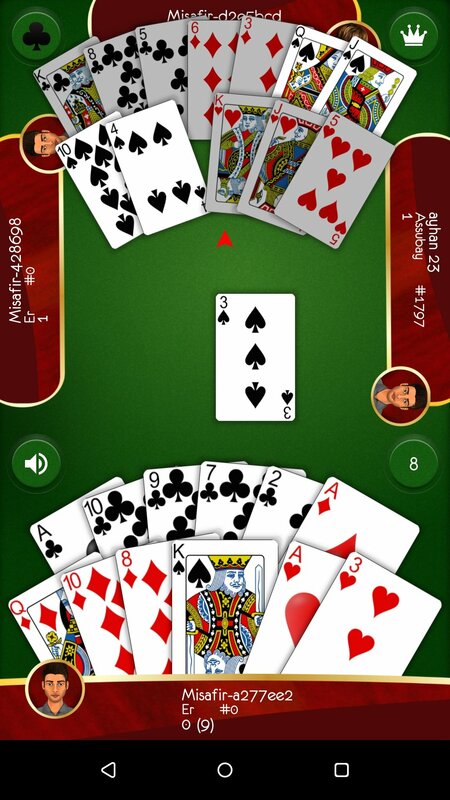 From there on, the gameplay is very similar to the Spanish game Tute: whoever's turn it is must throw a card (except spades) and the rest of players have to follow suit. The player who threw the hardest card wins that round. If you haven't got a card of that suit you can throw whichever one you want, including spades but take into account that the latter beat any other card. And your goal is to try and win as many rounds as possible. 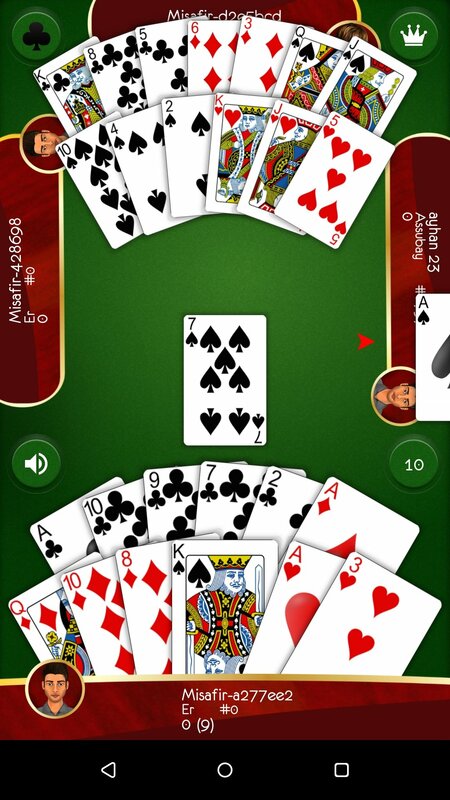 From there on, the gameplay is very similar to the Spanish game Tute: whoever's turn it is must throw a card (except spades) and the rest of players have to follow suit. The player who threw the highest card wins that round. If you haven't got a card of that suit you can throw whichever one you want, including spades but take into account that the latter beat any other card. And your goal is to try and win as many rounds as possible. 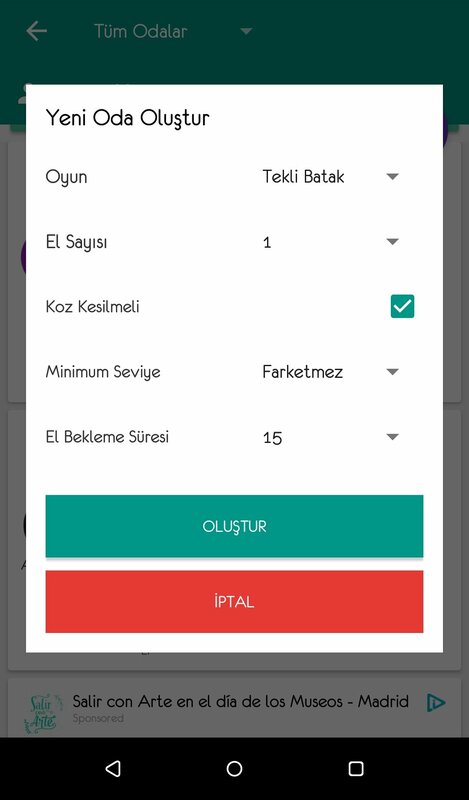 With this online version of Batak we can play against users from all over the world but bearing in mind that the application is in Turkish, the majority of our rivals will be from this country. You can play in already created rooms or create your own to play against friends or strangers. One of its best aspects is that it makes your phone vibrate when it's your turn just in case you're not paying too much attention and in order to not waste any time. 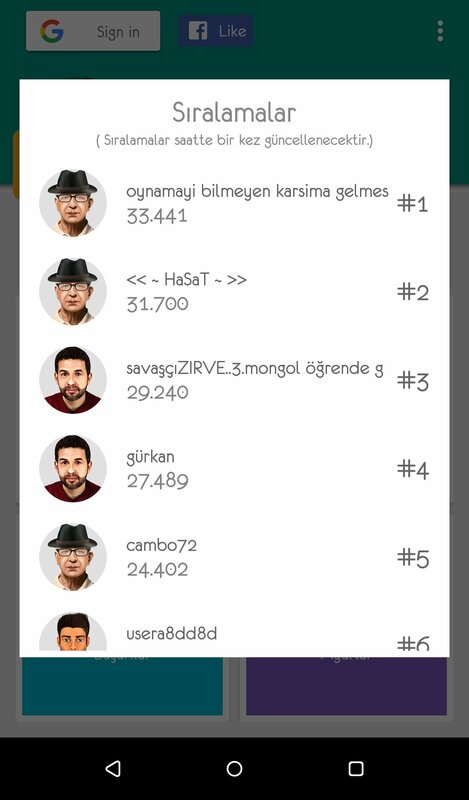 Play and try to climb to the top of the leaderboard... if you manage to understand anything.